Home / Personal Finance / How to Save About £2000 in a year ? How to Save About £2000 in a year ? Do you wonder how to earn/save money while doing absolutely NOTHING? No time to read the whole post ? Keep reading, if you do keep reading too because you may make some adjustments. If you are e.g in NatWest or Barclay and have you wage paid in to this account and by the way have a couple of direct debits than SWITCH your account to a bank which will give you more than your current bank does. You can have as many accounts as you wish, I tested almost all of the mentioned above. If however you can’t afford opening all of them choose the one(s) which is best suited to your personality and lifestyle. The best saving accounts at the moment is still offered by Santander (Santander 1-2-3) but only if you have more savings than £4k, so that you can cover this account fee which is £5. Savings: The account allows you to save up to £600/year on balances up to £20k. Required: 2 direct debits, 500£ paid in monthly. Pro Tip: Get Santander 123 credit card for at least a year (its fee is covered by your savings account for the 1st year) & it offers a nice cash back e.g 3% on petrol, National Rail and TFL. Another great account is offered by M&S but it will be appealing to you only if you are M&S regular customer. If you switch to it from your current account you may get up to £220. Required: An account Switch using the Current Account Switch Service, staying with M&S for 12 months. 2 direct debits and £1500 money paid monthly. Pro Tip: Get M&S credit card to pay at M&S to get get 1 point for every £1 you spend at M&S, and 1 point for every £2 you spend elsewhere which will be exchanged for vouchers to be used ta M&S every quarter. Additionally to set up 1 direct debit for that card payment. IDEAL FOR SERIOUS SAVERS & NICELY EARNING -don’t brother if you are disorganised. This account is perfect if you earn above £1500 (or have as much at your disposal to transfer) and have reached your £20k balance at Santander and are now looking for some more interest rates on your remaining savings. If you go for switching to Halifax you will get £100 switching money and £5/month =£160 in your first year. Savings: £160 – 1st year, £60 each year later. Pro tip: If you travel abroad frequently get Halifax Clarity which will allow you to shop online and offline when abroad without currency exchange fee usually added on top of your shopping when paid with any other debit or credit card. If you can’t be bothered to set up many accounts or standing orders to transfer money between them go for the ‘lazy’ option. TSB are giving you 5% on balances up to £2k and £5 cashback on a monthly shopping up to £100/month. Required: £500 in /month & setting up online banking with paperless statements and correspondence. Monthly spent up to £100 to qualify for the cashback. If you still have some non profitable account available for a switch choose between First Direct or Clydesdale Bank. FIRST DIRECT offers £150 for an account switch & £100 if you leave after 6th but before 12th month :-)so you it could up to £250. Required: Account switched in the first 3 months since the account opening + £1000 paid in the first 3-6 months since the account opening. Clydesdale Bank offers £150 for an account switch. Pro Tip: Use Quidco to boost the above by another £75. 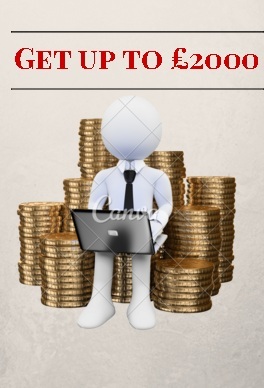 Pay in £2500 into the account to get another £75 from 3% interest rate applied to your savings. Please be careful when opening multiple accounts and before doing so ensure you will have all the requirements covered, so that you qualify & make the most of their benefits. I’d not advise going for multiple accounts /cards if you know you have poor credit score.